SD10 – SAP SD Basic Course - ITICA s.r.o. 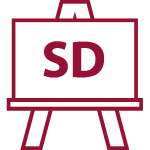 The SAP SD course introduces the basic processes and principles of SAP SD module = Sales and Distribution. Below you can see one of the videos from the SAP Sales and Expedition that we record and publish on our SAP YouTube channel. in SAP testing. 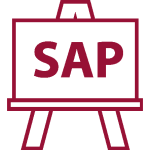 In the event that you order on a multi SAP course, you have enough time to repeatedly return to difficult or new problems and together with SAP tutor overcome them.